So today I bring you a random sampling from the vast number of photos taking up incredible amounts of space on my computer. 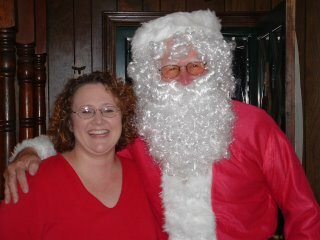 I look way happier than any 32 year old woman should look when being photographed with Santa Claus. You gotta admit, he's adorable, but seriously I look like freaky insane happy. Yikes. If looks could kill, Santa, you'd be one dead elf. I love this pictures of CLB! 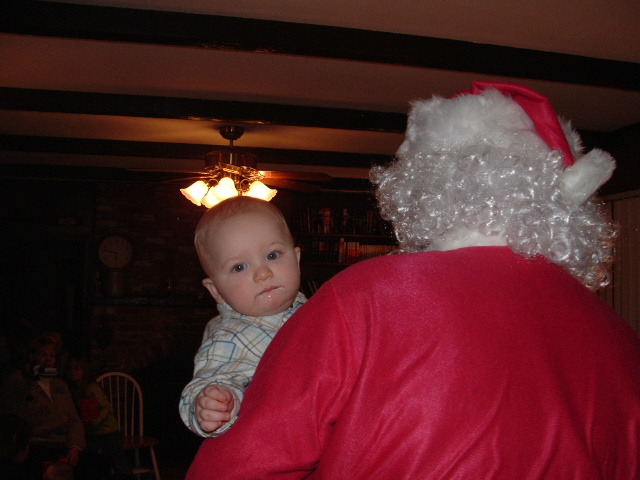 He tolerated being held by Santa, but you could tell that he wasn't all that overjoyed by the whole situation. "I'm not gonna cry, I'm not gonna cry..."
This one is of my man on Christmas morning. 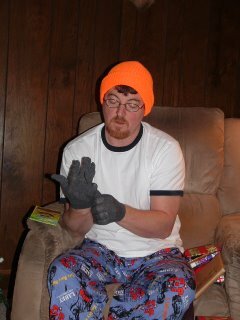 If the purple Larry the Cable Guy pants weren't enough, he had to add work gloves and an orange sock hat to the ensemble. Gosh, he's so precious. 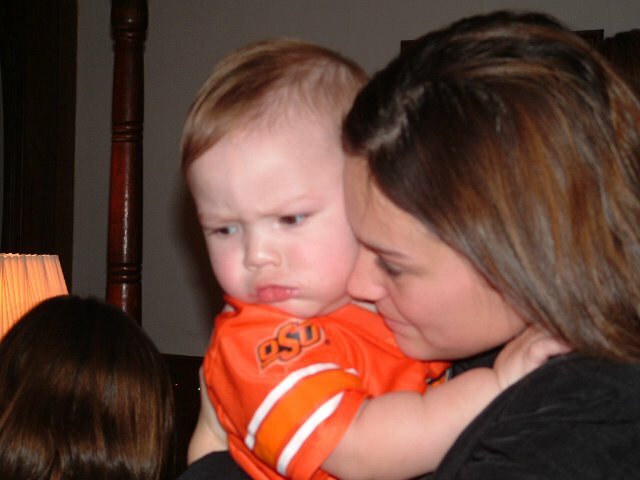 No self-respecting OSU fan would go near a large person dressed in red & white. Next year please request an appropiately attired Santa and your screamer should go to him without a hitch! Also that one pic of MrDiva...could he BE any more redneck??!?! Jeff Foxworthy would be so proud! 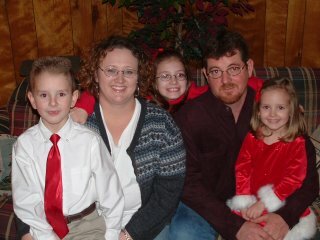 Great pics all around...you and Tater have beautiful families! Great photos. 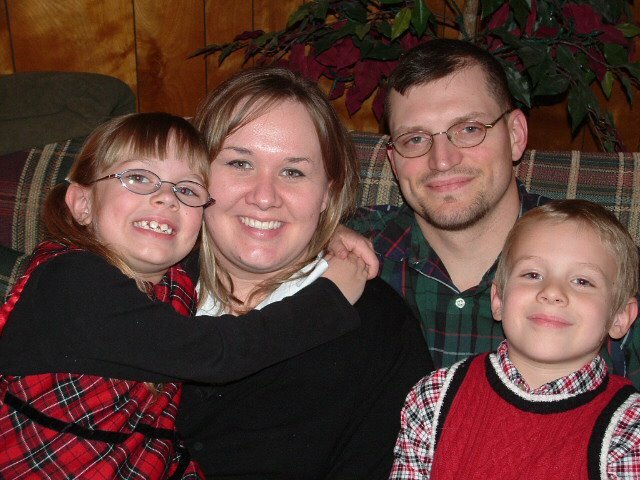 You guys are a good lookin' family. And, I mean that. Very sweet. Thanks for sharing! You have one heck of a handsome family there. Great pictures! !